Actress Katharine Hepburn remembers being enchanted by her grandfather's vivid storytelling. Here she shares six of her favorite stories, in a collection of traditional fairy tales for children. Stories recounted in Hepburn's distinctive voice are accompanied by illustrations, so viewers feel as if they are looking at a picture book. 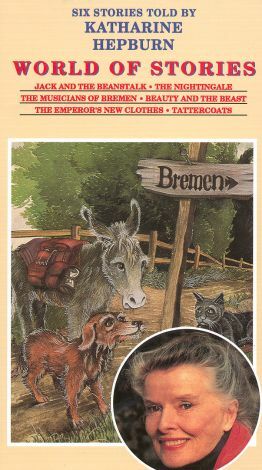 Featured tales include Jack and the Beanstalk, The Nightingale, The Musicians of Bremen, Beauty and the Beast, The Emperor's New Clothes, and Tattercoats.